This presentation focuses on presenting the EDF Blyth Offshore Demonstrator project and discussing the challenges and lessons learnt from the project including design constraints and structural solutions. The foundation is a gravity based structure with a steel shaft; the wind turbine foundations are in water depths near 30m. 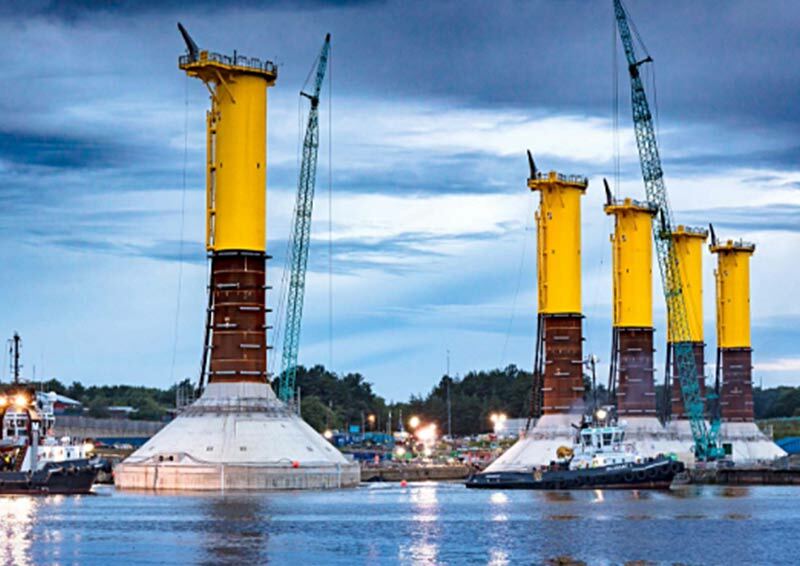 The presentation will discuss the wider offshore wind industry and transferrable skills and gaps for structural engineers working in the oil and gas industry. Registration from 5.30pm for a 6.00pm start. Kate is a Chartered Principal Engineer with wide range of experience in both the Oil and Gas and Renewables Industries. Kate’s career began in academia, then progressed through a number of roles including Principal Structural Engineer and Team Lead in O&G Brownfield structural engineering, laterally moving into consultancy and Engineering Management. Kate was Engineering Manager - Design for the EDF Blyth project presented, focusing on the design phase of the project through to steel shaft fabrication and construction.